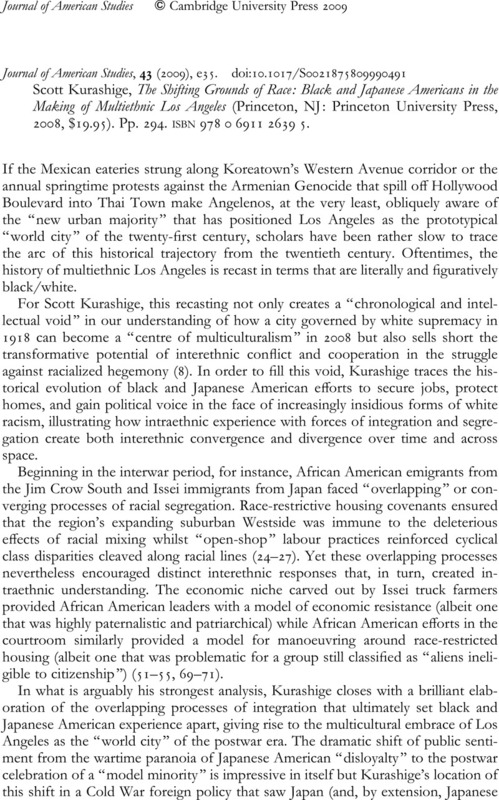 Scott Kurashige, The Shifting Grounds of Race: Black and Japanese Americans in the Making of Multiethnic Los Angeles (Princeton, NJ: Princeton University Press, 2008, $19.95). Pp. 294. isbn978 0 6911 2639 5.